Fall break started last Friday for me. As of 13:00, I started my break from the strenuous, grueling hours of study and toil I have undertaking since going to Copenhagen... yeah, "As if!" Before leaving Copenhagen, I hung around for Sensation CPH on Saturday night. The lineup was something like three people I don't care about, Juan Sanchez and Daniel Sanchez, Martin Solveig, and Hardwell. I think everyone I know expected Hardwell to be best, but Martin Solveig may or may not have stolen the show. He somehow managed to play over an hour and a half of amazing stuff; he alone was worth the €80 price tag. I also bumped into three girls from W&L that I didn't realize were going to be at Sensation -- small world, for sure. Monday I left for BERLIN with my three of my roomies. We packed so many different things into the three full days that we were in the city that I legitimately don't know where to begin. We also saw several of the "typical" Berlin sights - the Reichstag (home of German Parliament), Checkpoint Charlie, the Brandenburg Gate (a sort of Berlin Eiffel Tower), Museum Island, and the Berlin Cathedral. 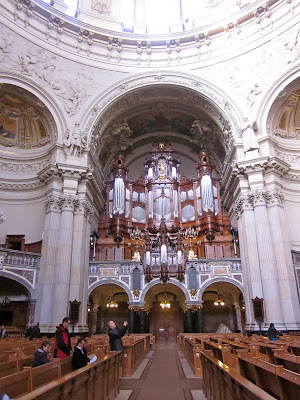 Probably the biggest sightseeing surprise of the trip was the Berlin Cathedral, or Berliner Dom. Originally, I planned on doing the normal church tour: ooh and ah over the nice altar decorations, look at statues of MML&J, move along. 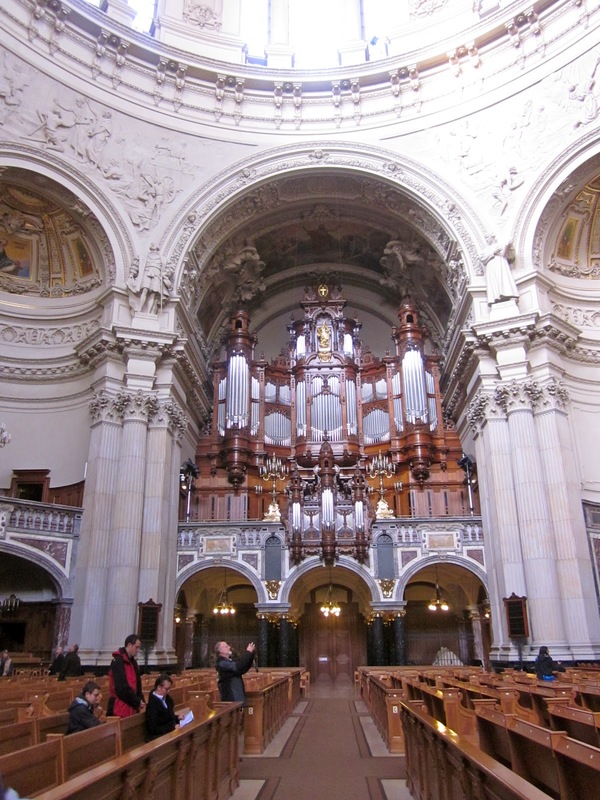 This cathedral, however, is completely out of the norm: there are two levels to overlook the main worship area, and the crypts below are open. The coffins of the royal German Hohenzollern family from the 12th-17th centuries are openly displayed there. The best part, though, comes you when climb. And climb. The interior of the dome of the cathedral has a walkway with windows looking out over the roof and Berlin, which is very cool. Better, though, is when you continue to climb up narrow staircases and eventually hit fresh air. There is an exterior walkway open which my roommate Tom and I climbed up to... so worth the trip. Before I left for my trip, I told several Danish friends about my travel plans. 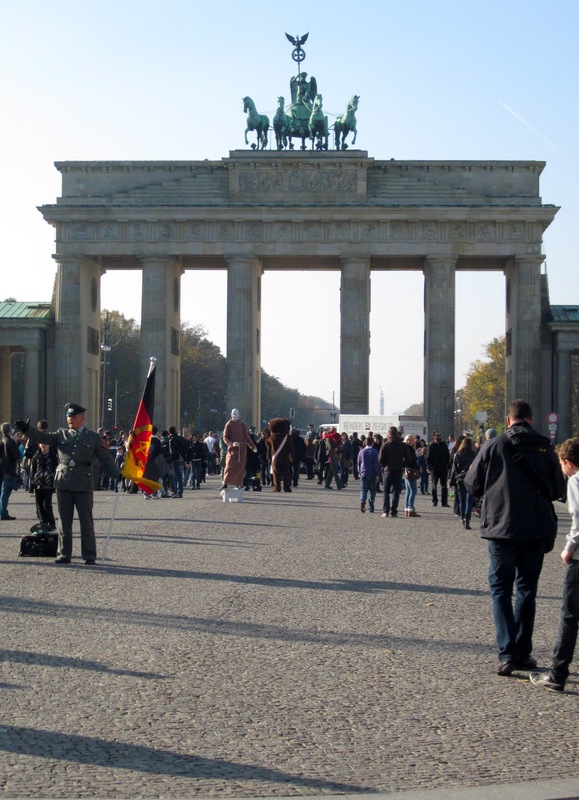 Each one, without fail, gasped and smiled when I mentioned Berlin - the American equivalent might be stripping naked and running around the neighborhood beating your chest and screaming in joy (more or less). After being in Berlin for just three days, I now know why they loved it. The city is beautiful and modern, simultaneously recognizing the past and developing the future.